Amiah Robertson's disappearance is classified as a "homicide investigation." 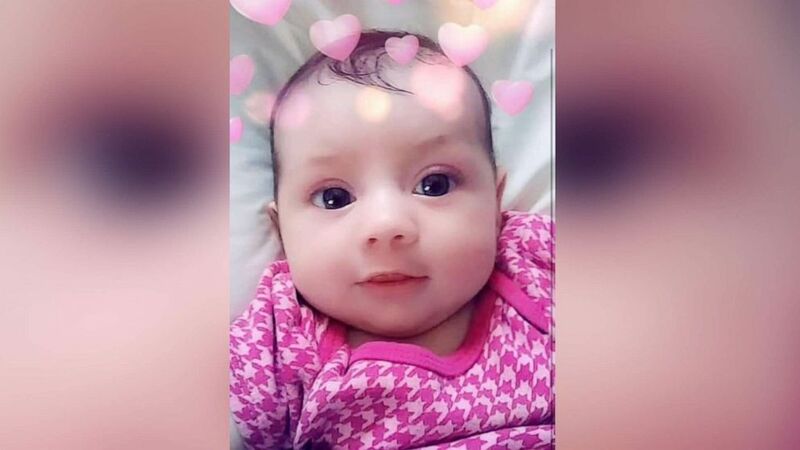 A week after an 8-month-old baby was reported missing in Indianapolis, her mother's boyfriend was named as a suspect in the newly classified "homicide investigation," police announced on Saturday. Robert Lyons was last seen with Amiah Robertson on March 9 near Rockville Road and South Mickley Avenue. But, Amiah Robertson's mother, Amber Robertson, did not report her baby missing to the Indianapolis Metropolitan Police Department on March 16, police said. "We are frustrated and quite frankly angry because of misinformation and lack of information and lack of cooperation from those who are most closely involved," said Police Chief Bryan Roach in a statement before a press conference on Saturday. ( Indianapolis Metropolitan Police Department) Amiah Robertson appears in this undated story released by Indianapolis Metropolitan Police Department. Roach announced that Lyons, the boyfriend of the baby's mother, is a suspect in what has been deemed a "homicide investigation," but is not being actively sought. Amber Robertson is not a suspect and is cooperating with police. After days of hunting for the infant and receiving conflicting statements from family members, investigators had concerns for the welfare of the baby and issued a Silver Alert on March 19. Items found on March 20 near the bank of White River belong to Amiah, police said. The police did not specify what the items were. Police are asking for anyone, who saw a 1996 maroon Isuzu Rodeo SUV in "poor condition," to call the police tip's hotline 317-262-TIPS.